Hi guys! 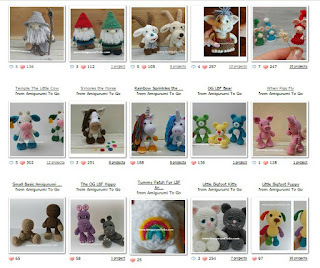 Just popping in with a quick note, my designs are also listed on Ravelry. It's a great way to browse through them since they are in a gallery view. The photo above is a small screenshot of what I have listed there. You don't need an account to view them. Each one will link you back here to my blog where the patterns are waiting for you. Always free and free for always! all my patterns are written patterns first and remain as written patterns here on my blog. 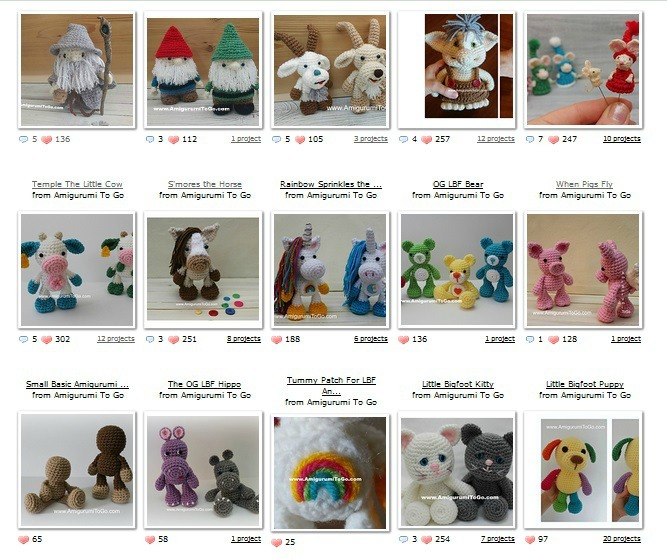 If you look at the top of the page, click on the tab "Free Patterns" and I explain there how to find them. I try and do videos for them, but not all my written patterns have videos. The print friendly is a free service but I don't have anything to do with how it works. Unfortunately, it sometimes doesn't print so great. But I do have copy and paste enabled if you want to know how to use that, let me know. You are looking for my dollhouse videos, those are on my other youtube channel, Where The Gnomes Live. And on my other blog www.sharonojala.com that blog hasn't been updated in a while though.